“Students around the world today are sitting at desks and studying at school, preparing themselves to work. However, many schools around the UK are closed this week thanks to Storm Emma, mine being one of them. My mum, however, still made it to work today despite the downpour of snow. She works as a Paraplanner for the company Vintage, and as my usual childminder was busy today, I went in with her. 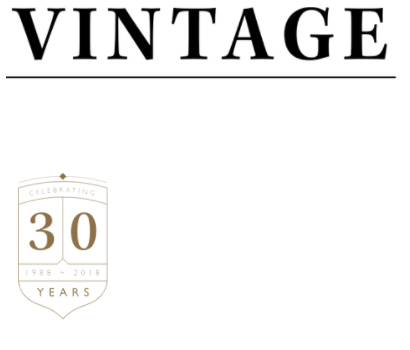 Vintage is a financial advising company in North Yorkshire which helps clients with money management and pensions etc. As a twelve-year-old of today’s society, I am taught by the modern curriculum, set up to encourage children all over England to prepare themselves for the real world and lay the ground work for their career paths. But despite the government’s efforts to help us understand adulthood and how it feels to have a profession, office jobs are still very different from school. So, what are the differences and similarities of a real career and secondary school? At school, about 20% of my time is spent sat in either a Math or English classroom. In an office job, most of the time is spent writing reports and filling out graphs etc. So far today, I have proofread an example report and filled out a research chart to ensure that the company gives clients the best possible results. Math and English are two vital subjects for an office job. Everyone I have met today has been very knowledgeable in what they do. Understanding what you are working on is vital for financial advising and each person I have met today has been hard working and organised. At school, sometimes you don’t know the answer, but in an office job you need to know exactly what you are doing. In the building, a workplace needs the right atmosphere. During school time, many lessons are in a stiff silence: everyone is working or thinking. The students are taught independence is key to maintaining good results. At Vintage however, although most of the time people are focusing on their own tasks at hand, people often help each other in order to achieve the best outcome. Sometimes working alone isn’t enough, and you need a second opinion: when checking a report you wrote yourself, you often skip past mistakes because in your head everything is perfect, but as soon as you ask someone else, they instantly find a fault that you skimmed over. In this company, a cooperative but hard-working spirit is in the air to ensure the best outcome. The whole point of education is to learn things, to study and taught subjects and then be tested through exams and assessments. But when you already have a profession, students may think that you have mastered everything, but even when you already have work, you still learn something new every day. Although you need to know a lot about what you are working on, you still find things out that you never would have known before. Everyone in every job around the world has a different passion or a different approach to work and I have learnt so much today from everyone around me. At school you focus so much on what you are studying and what your teacher is saying that you forget to listen to your peers, but at Vintage, everyone understands one another and learns from each other. School and work are two very different things: at school you study subjects, at work you use what you’ve learnt; at school you sit by yourself, at work you team up together; at school you learn new things, at work you learn so much more!